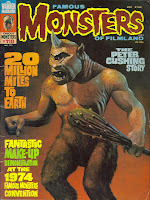 Ray Harryhausen had a huge influence on me as a kid growing up. 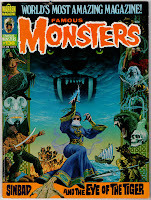 I've been a fan of science fiction and fantasy for as long as I can remember, since at least the age of 5, and Ray Harryhausen's films were a regular part of my watching and reading diet. The "reading" part may seem a little odd, but remember that, back in the 1970's, before cable was ubiquitous, and in the early 80's, when VCR's and VHS tapes were still something of a novelty and pricey, one was at the mercy of the television schedule. There was the 4:30 Movie on channel 7 on weekday afternoons, which I could catch if I rushed home from school, and there was Chiller Theater on channel 11 on Saturday night, but other than that science fiction and fantasy was rare outside of late night fare. 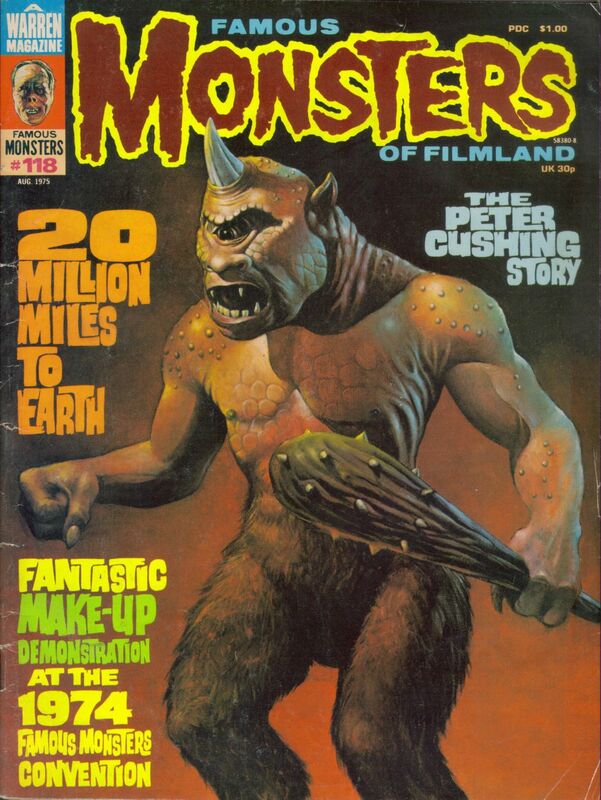 Magazines like Famous Monsters of Filmland filled that gap. 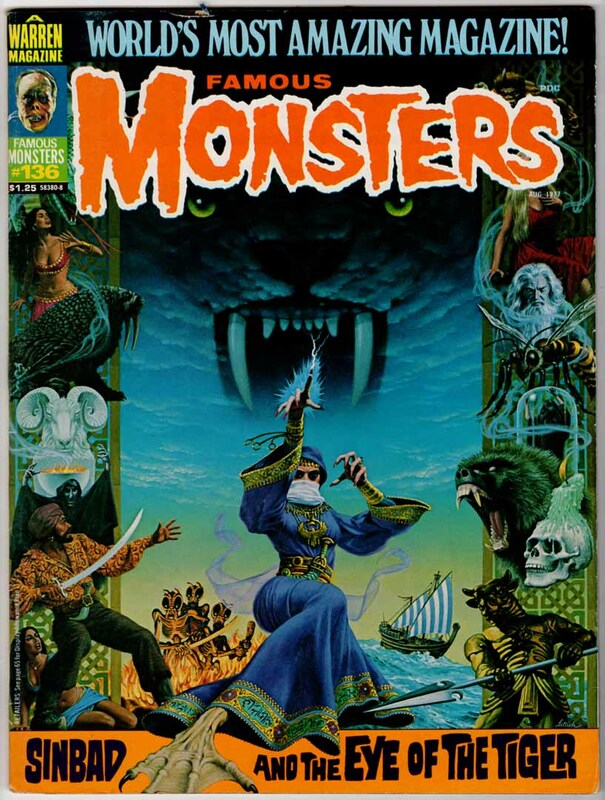 There would be glorious covers with the Universal monsters, characters from Hammer films, and, of course, creatures from the mind of Ray Harryhausen. Inside there were articles and interviews, behind-the-scenes photos, and tons more that my young mind just lapped up in the absence of being able to watch the movies themselves. If reading about them was fascinating, the movies themselves were unbelievable. I can't say I remember the first time I saw The Beast from 20,000 Fathoms, First Men in the Moon, or It Came from Beneath the Sea, but I know I've always remembered seeing them. Like many, the skeleton fight in Jason and the Argonauts was fascinating to me, but I have to say it wasn't my favorite of his films. That would have to go to his later pair of Sinbad movies: The Golden Voyage of Sinbad (with Tom "4th Doctor" Baker as the villainous Prince Kura) and Sinbad and the Eye of the Tiger (with Peter "2nd Doctor" Troughton as the sage Milantheus). To my mind, those two films even eclipse Clash of the Titans. Kali just beats out Medusa. The inspirations from Harryhausen's films found in Dungeons and Dragons are many. 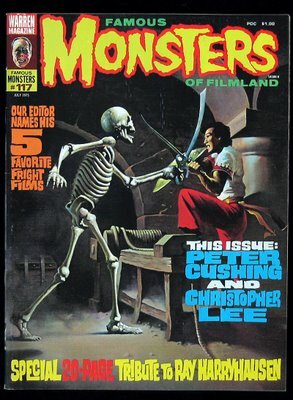 The animated skeletons, for example, recall Jason and the Argonauts (as does the iron golem, and the mention of Talos, the "triple iron golem" mentioned in the artifacts and relics section of the DMG). Spells such as polymorph other, while they have their ultimate source in the literature of antiquity and Shakespeare, were popularized in the 70's in certain circles by the transformation of Prince Kassim. The greater medusa from 2E is an obvious lift from Clash of the Titans, of course, and there are many others. I simply can't imagine a childhood that didn't have Ray Harryhausen's films in it. Thanks, Mr. Harryhausen.